We watch the news, read articles, and hear stories about difficulties in our world. The needs are so massive, the stories so heartbreaking, that often we don’t even know how to pray. 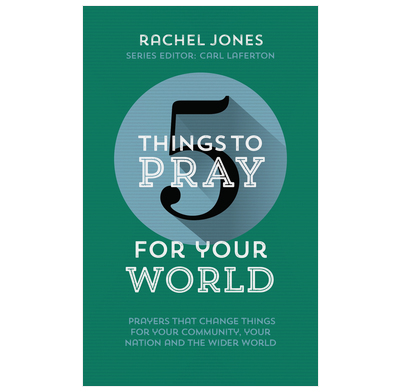 Rachel Jones’s excellent new book, 5 Things to Pray for Your World, offers a needed guide to seek God’s help by praying God’s Word. We may feel powerless, but we have the ear of an all-powerful God. May we faithfully cry out to him for the world around us.